WOW! Welcome Home!! This home has been meticulously maintained and is move in ready. The list of upgrades is endless! Great open concept 4/2 with swimming pool, screen enclosure and fully fenced yard. 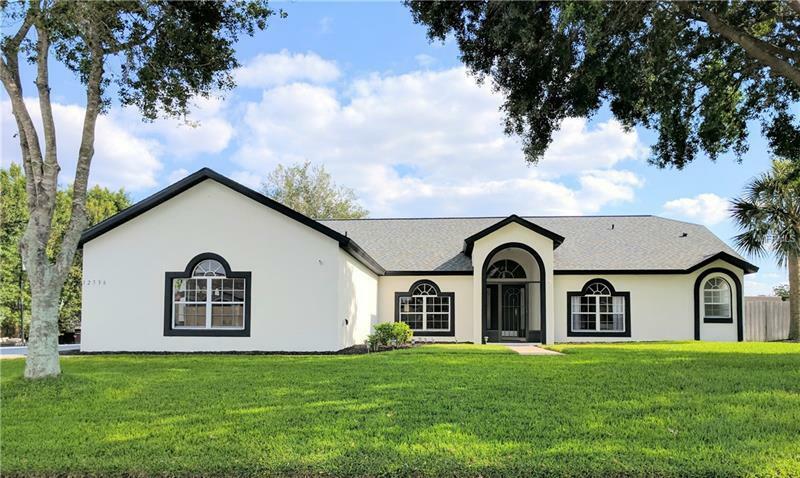 This home has a great floor plan for watching the game on Sundays or enjoying a family gathering. This split bedroom plan features sliding glass doors off the master to the covered patio/pool area. The pool area is a great place to relax and enjoy your morning coffee or relax after a long day at work with a cocktail. And did I mention the 3 car garage?! There is plenty of space in here for a work shop and the owners are leaving the cabinets! But lets talk about the bones of this home...NEW ROOF 2016, NEW SPRINKLER SYSTEM & CONTROLLER 2016, NEW 17 SEER A/C 2017; NEW Gas HOT WATER HEATER 2017, NEW CARPET 2018; NEW STAINLESS STEEL APPLIANCES 2018; NEW FENCE 2018; NEW INTERIOR PAINT 2017; NEW EXTERIOR PAINT 2018; RESURFACED CABINETS AND COUNTERS 2018 and updated landscape around the entire house!!!! All you need to do is move right in! This house will NOT last long, so schedule your showing today!! !